HeatSync Labs is a hackerspace in Mesa, AZ. every time i go there, i notice the existing logo… there’s nothing wrong with it, i just don’t know exactly what it means and so it makes me think about it. i did a quick re-style of my consulting site (http://devbutton.com) yesterday. 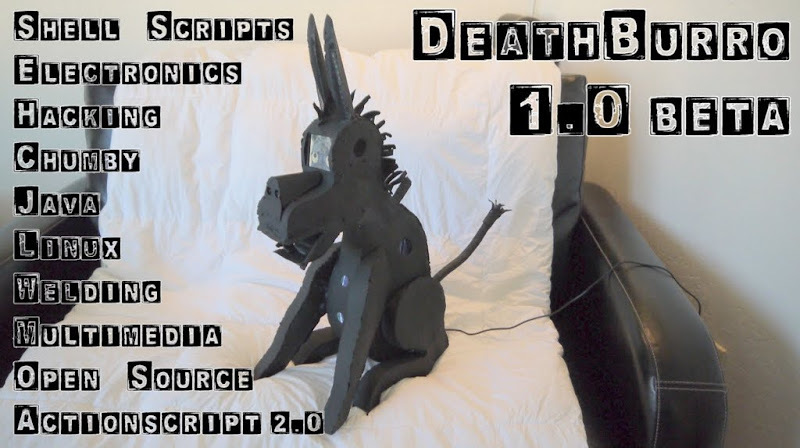 DeathBurro was released as 1.0.0.0 beta yesterday!